Mauricio Pochettino has underlined Liverpool’s early elimination from both domestic cup competitions as a means of defending his Tottenham squad’s strength in depth. Spurs will face Chelsea on Thursday night in their League Cup semi-final second leg, before travelling to face Crystal Palace in the FA Cup Fourth Round at the weekend. Liverpool are meanwhile enjoying a warm-weather training camp in Dubai having been granted an extended 10 day break on the back of their defeats to Chelsea and Wolves in the respective tournaments. Pochettino made note of the Reds’ lack of cup success when praising the players at his disposal amid the club’s recent injury crisis. Speaking on Wednesday, he said: “I saw Liverpool is now in Dubai and all the pundits say Liverpool have the best squad with Manchester City,” per the Mirror. 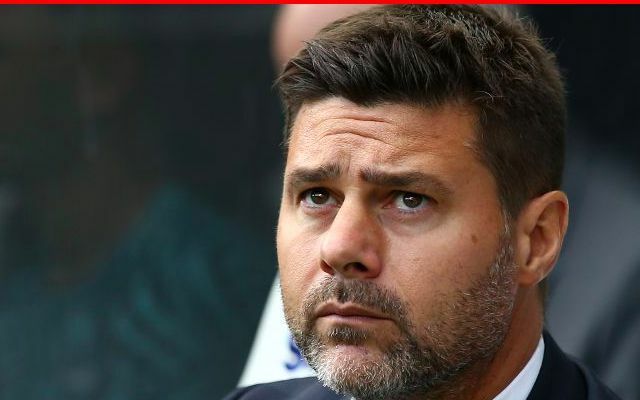 Dele Alli was recently ruled out until March with a hamstring issue, adding to Harry Kane’s ankle injury, Moussa Sissoko’s groin problem and Heung-Min Son’s involvement at the Asian Cup in handing Pochettino a selection conundrum. Liverpool remain nine points clear of Tottenham at the top of the Premier League table, whilst both teams are also preparing for Champions League Round of 16 contests. Klopp’s own mini-injury dilemma forced him into making significant changes as his side was knocked out by Wolves at Molineux earlier this month. This included the use of 18-year-old Rafael Camacho at right-back and Fabinho as a make-shift centre-back, as well as the introduction of then-16-year-old Ki-Jana Hoever as a first half replacement for the injured Dejan Lovren. Minor knocks also saw Adam Lallana and skipper Jordan Henderson ruled out, paving the way for 17-year-old Curtis Jones to make his senior debut. With challenging for the Premier League title an unrivalled priority, most affiliated with the club will have felt Klopp was more than justified in rotating his side.